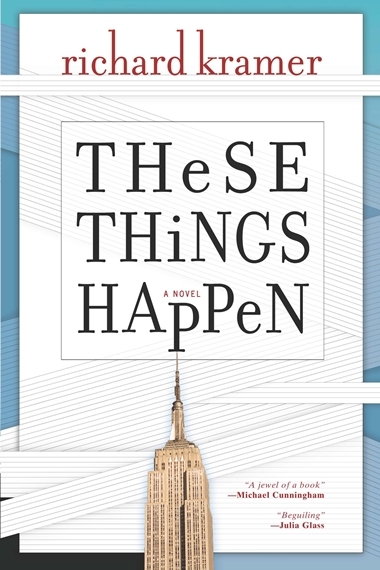 Set among Manhattan’s high-powered liberal elite and told through an ensemble of endearing voices, These Things Happen is a not-quite-coming-of-age story about a modern family. Fifteen year old Wesley, a tenth grader, has moved from his mother and stepfather’s home to live with his father and his father’s male partner for a school term so that father and son might have a chance to bond again. But when Wesley finds himself unexpectedly at the center of an act of violence, everyone around him must reexamine themselves, their assumptions and attitudes. A lot can happen in a day, sometimes. Not every day, of course. Most have one event, and that’s if you’re lucky. Many have less, which seems especially true in our school, which is hard to get into and committed to serving the community but is also, as a rule, unthrilling. Maybe things pick up in eleventh grade, which is when Mr. Frechette, a teacher we like, says our brains have developed to the point where we can grasp irony, accept ambivalence, and acknowledge the death’s head that lurks at the edge of all human endeavor. His exact words; I put them in my phone. We’ll see, although I trust him. Mr. Frechette can get sour, but he’s also pretty wise. Maybe today’s a preview of next year, then, because a lot has happened in it, even without the death’s head. School’s out. Theo and I are on our way to tae kwon do. Wherever you look, whoever and whatever you see seems glad to be a New Yorker, not just people but buildings, and pigeons, and signs. Theo’s my best friend, and always has been. He says that’s just because he’s the only boy in my school who’s not named Max or Jake, but that’s not it at all (which he knows). It’s simple. He bores easily. So do I. But we don’t bore each other, and that’s since in utero, practically, as our moms met in Lamaze class and got to be friends. He got his name because his mom wrote a book about the loser relatives of famous artists. Theo Van Gogh was Vincent Van Gogh’s brother; Mrs. Rosen, Theo’s mom, pronounces the name (I quote Theo here) “like she was choking on a rugelach.”). Theo V.G. knew Vincent was the talented one and worked hard to make sure the world knew it, too. I admire that, and hope I would do the same, if I had a brother who was an insane depressed genius, which I don’t. I’m an only child. 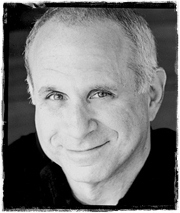 Richard Kramer is the Emmy and multiple Peabody award winning writer, director and producer of numerous TV series, including Thirtysomething, My So-called Life, Tales of the City, and Once and Again. His first short story appeared in the New Yorker while he was still an undergraduate at Yale. This is his first novel.